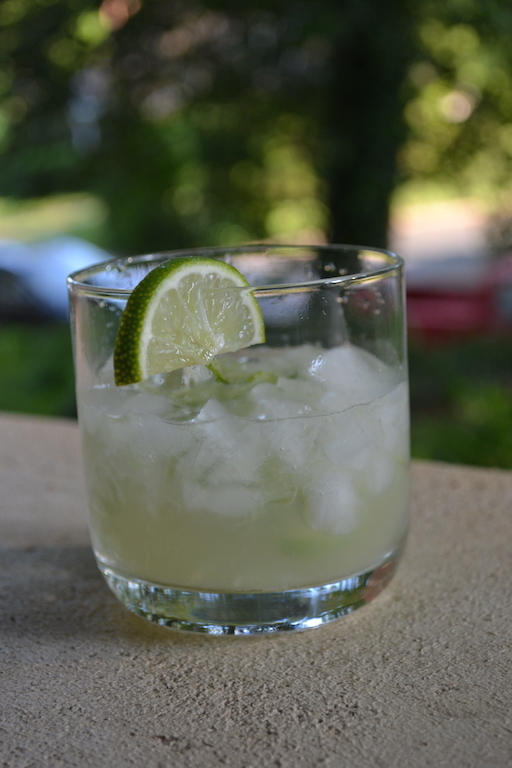 I know Moscow Mules are all the rage and that at the very least, with it being Cinco de Mayo, I should have margaritas on the mind, but it’s the caipirinha that’s become my cocktail of choice this spring. What is a caipirinha? 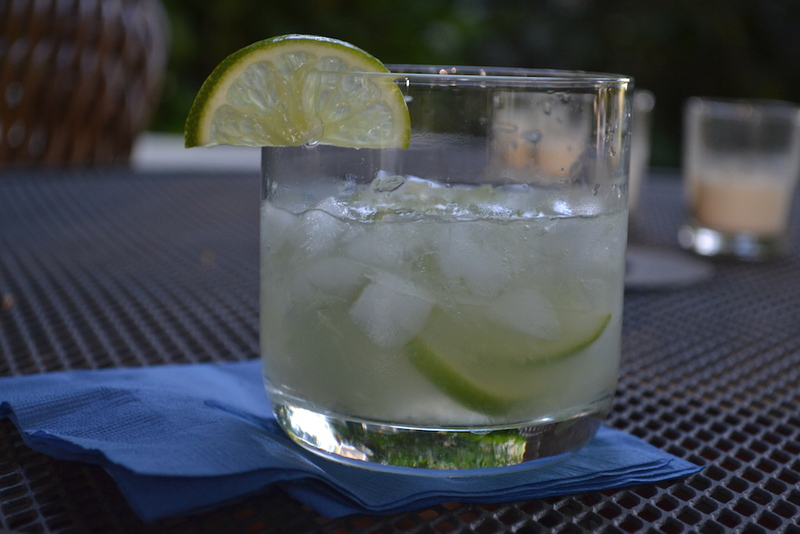 It’s Brazil’s most well-known alcoholic beverage and a refreshing cocktail perfect for warmer days. 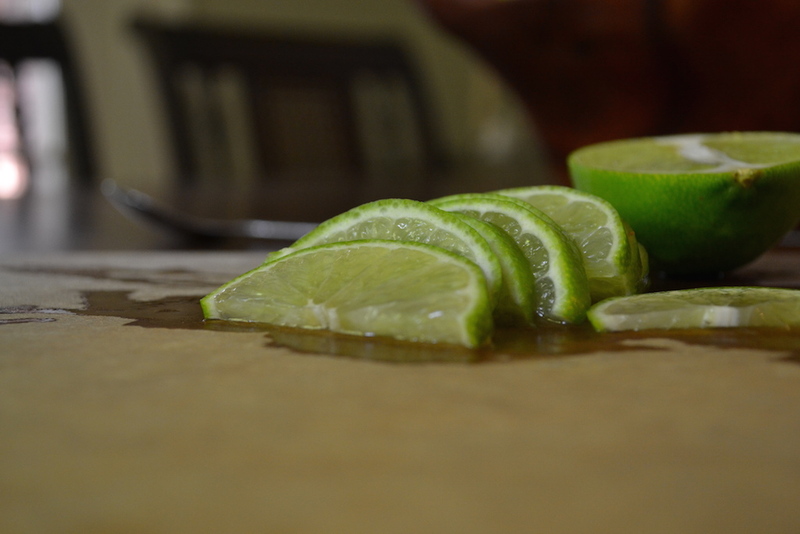 Thinly cut lime slices are muddled together with granulated sugar to release the lime’s oils and its fresh citrus taste. You then add crushed ice and the Brazilian liquor cachaça to the mix and shake to combine. Pour it into a glass and you have a caipirinha. It’s a simple drink with little adornment, but to make it authentic procuring cachaça is a priority. Cachaça, a clear liquor produced by fermenting fresh sugarcane juice, is considered a type of rum although the product itself is distinctly Brazilian. Captain Morgan’s should not be substituted and it is well worth the trouble to hunt down a good bottle of this unique liquor. 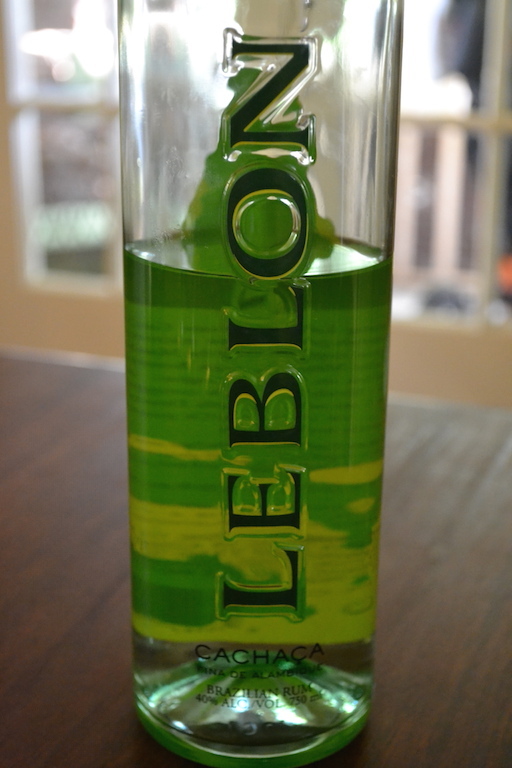 The brand Leblon appears to be the most popular brand of cachaça found in the United States and I had no trouble finding it at my local liquor store. While hardly a connoisseur when it comes to cachaça, I can say it’s a smooth drinking liquor that makes a delicious drink. Thank goodness as it was the only brand my local liquor store sold. You might be tempted to make up a pitcher of these if serving a crowd, but I’d opt for crafting them one at a time. 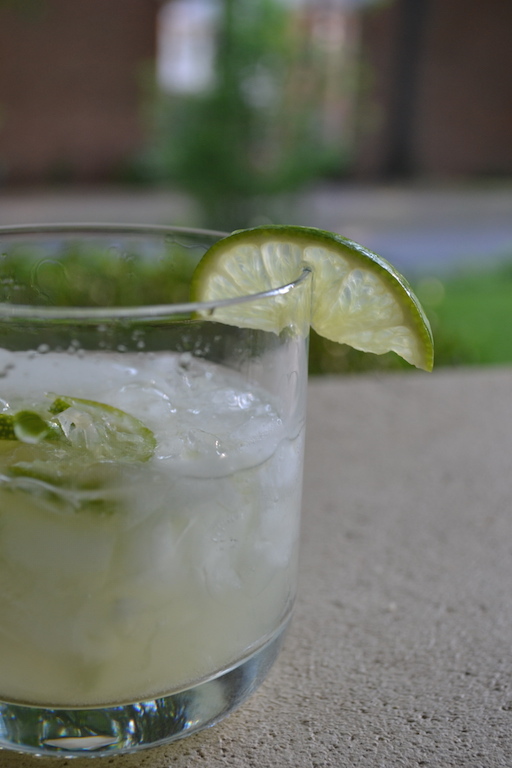 Yes, you’ll need to muddle through lots of requests for refills, but made in small quantities, you can guarantee that each glass is packed with the refreshing flavor of fresh limes that makes this cocktail so addictive. Cheers! Combine the sugar and lime in a glass. Muddle for at least 30 seconds until lime juices have been released. Add the ice and cachacha and shake. 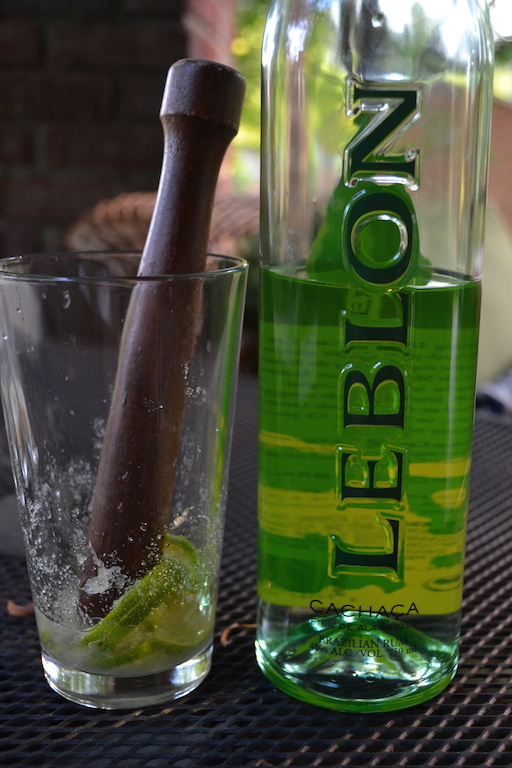 Pour into a rock glass and garnish with a lime slice.